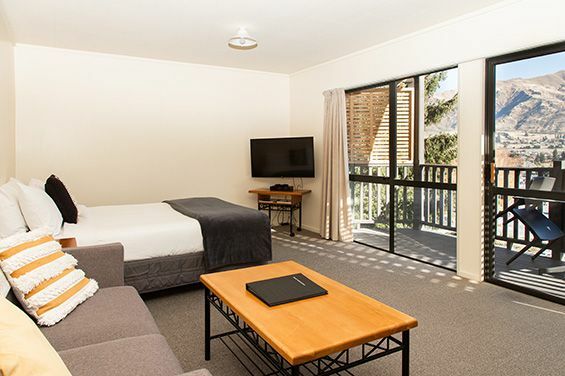 At Wanaka Heights Accommodation you will enjoy lake and mountain views from both the ground-floor and upper-floor units. 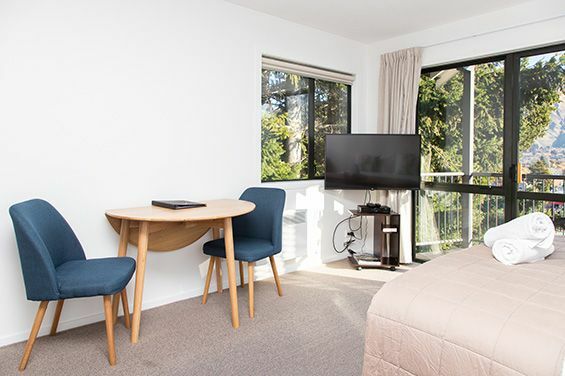 Our ground-floor units open onto lawn with your own patio while the upper-floor units have their own balcony both with outside furniture to soak up the sun and views. We have a guest barbecue area and a pathway through our garden leads to the main road down into Lake Wanaka township. 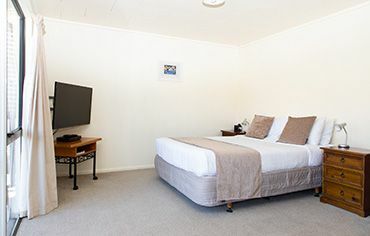 Because of our location and facilities Wanaka Heights Accommodation is ideal for group bookings especially wedding groups. 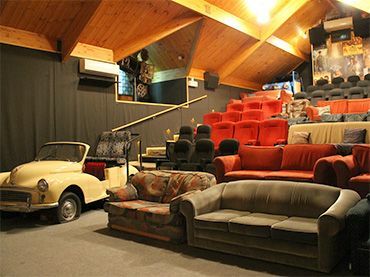 We are only a 3 to 4-minute walk to the Wanaka Events Centre which is a popular wedding reception venue. In winter time we are well situated to host your group ski holiday. 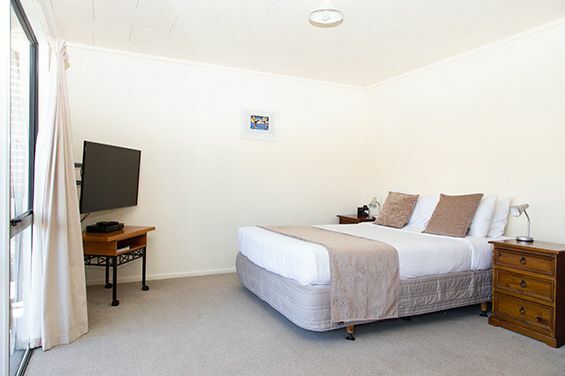 Family unit with queen-size and single bed in large lounge area with 2 singles in the bedroom. Flatscreen TV in lounge. 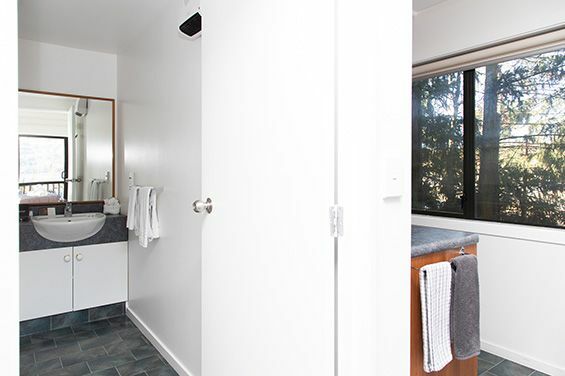 Bathroom with shower, full kitchen with oven. Upstairs and downstairs units available both with lake and mountain views. 1-bedroom family unit with queen-size bed in the large lounge and 2 singles in the bedroom. Flatscreen TV in lounge. Bathroom with shower, full kitchen with oven. Upstairs and downstairs units both with own balcony and lake and mountain views. 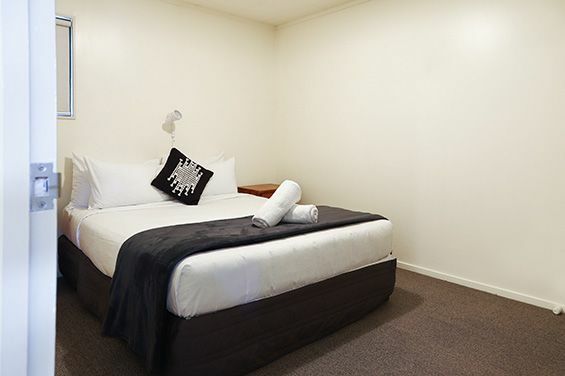 1-bedroom with queen-size bed in large lounge and queen-size bed in the bedroom. Ideal for 2 couples. Flatscreen TV in lounge. Bathroom with shower, full kitchen with oven. Upstairs with own balcony and lake and mountain views. Studio room with queen-size bed, own balcony with lake and mountain views. Flatscreen TV, lounge, dining table and chairs. 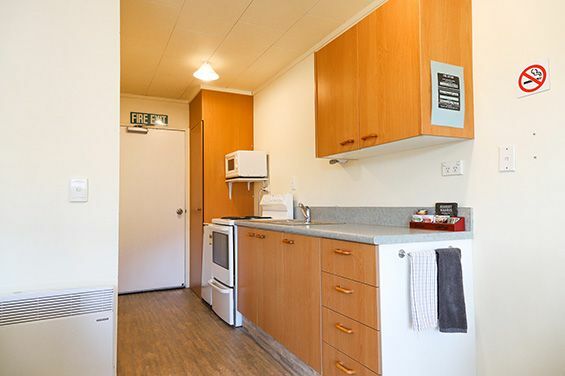 Bathroom with shower, kitchenette with tea, coffee and toast-making and a microwave. Downstairs family unit, still with great views over Wanaka township, lake and mountains. Please see online booking for specials. 7 day cancellation policy applies unless specified below. All cancellations will incur an admin/remarketing fee of $45. 30 day cancellation from 23rd Dec to 6th Jan. 14 day cancellation from 1st Dec to 22nd Dec, 7th Jan to 15th April, 21st June to 16th Oct plus A&P Show and Rippon weekends. If cancelled within the 7/30/14 days the 1st night will be charged. 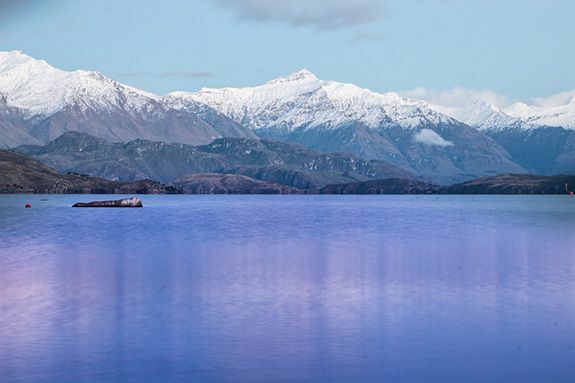 30 days prior for Warbirds Over Wanaka. If cancelled within the 30 days, full payment will be taken and refunded if we re-sell the room. We strongly advise taking out travel insurance to cover things such as weather related issues, injuries, sickness etc. Smoking is not allowed inside any rooms. All rooms have outside patios and balconies for smoking. If you do smoke inside the rooms, you will be charged appropriate cleaning and loss of income charges. Payment for all accommodation must be made in full on arrival. Peak times 1 night's deposit will be taken early in the month of check-in. A valid credit card number must be used to secure your reservation. No visitors are allowed in rooms after 10.30pm. Any damage to the room or property may be charged, also excess mess left in rooms will incur an extra cleaning fee. Should noise be a factor and it results in upsetting other guests you will be responsible for any resultant loss of income if applicable. If you have extra guests other than those booked prior you must notify reception so we have all available numbers of people in rooms for fire safety. All of our 'Policies' and 'Terms and Conditions' are located on the 'book now' page. Please note that all images, pricing and information is provided as a helpful guide only and do not necessarily apply to all room types, time periods, or certain facilities available at all times.